Traditional drug and alcohol treatment just doesn't work for millennials. Here's why. If you were born in the 1980's or 1990's, traditional drug treatment methods may not work for you. Learn the five biggest reasons that more and more millennials like you are seeking alternative substance use options like Freedom Model Retreats. Millennials are encouraged to dream big, but the concept of addiction is inherently defeatist. 12 Step programs paint a bleak picture of lifelong powerlessness, and tell you that group meetings and a uniform approach are necessary to ward off the influence of alcohol or drugs. Our Cognitive Behavioral Learning (CBL) program follows a three-part curriculum that includes several Focus Electives that you choose to meet your own personal needs. These electives allow you to work toward real-world goals, such as applying for jobs or repairing relationships, and keep you focused on building your best future and outcomes. As students, millennials have enjoyed more access to alternative methods of communication and education. Rather than coming from a fear based or control model as the majority of treatment centers and rehabs, Freedom Model Retreats uses a self-directed education model that is dependent on you the learner to decide where to direct your focus. 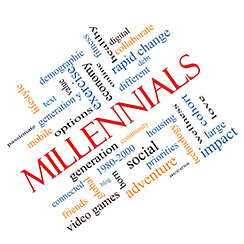 We have found our millennial guests like you like the freedom to direct their own course of learning and are more invested in a change that they determine. We couldn't agree more as our program is built on those principles of individuality and freedom of choice. We have supplemental learning materials if you prefer to explore a certain topic or learn in learn better with visual aids than by reading or hearing about something, for example. Drug treatment centers and traditional rehabs apply the same uniform approach to everyone, regardless of individual learning styles. As we get to know our guests, our materials and presentations evolve to meet their needs and reach them more easily. From "selfies" to blogs and vlogs, millennials aren't self-centered, but they do spend a lot of time thinking about their identities and expressing the quirks and sharing the qualities that make them special. They also like to choose the medium through which they do that. You have full access to your electronic devices during your stay at any of our retreats. We want you to maintain your communication with the outside world — it's a vital part of who you are and how you experience life. So keep up with friends, family, and everyone and everything that matters to you as you go through your stay at Freedom Model. You will be learning a lot about yourself and how you think and act while you go through Freedom Model and you get to decide if and what you want to change. If it works for youâ€”keep it and if not change it. It's all up to you. Freedom Model is not about judgment but about you taking control of your lifeâ€”maybe really taking personal responsibility for the first time. No meetings, no deep, dark forced confessions, no "I am an addict" speeches because we don't believe in shame and blame. It's about you finding ways for you to feel empowered and ready to take on the world. We're just here to help you figure it out. Compared to the three generations that came before you, millennials are by far the least religious in a formal sense. 12 Step programs revolve around a "higher power", so if you don't believe in one, it's largely ineffective as a drug treatment method. We don't incorporate religion as a necessary component into our approach at all. Your beliefs are entirely up to you to decide. If you have a belief system that is important to you than by all means incorporate it into your final plan as a valuable resource for you. If you have a spiritual component to add to your plan put it in and if not, leave it outâ€”it's that simple. As a millennial, you face more pressure to complete your higher education, more tuition expenses, more pharmaceutical options, and a more unstable job market than your parents or grandparents. You're also at a crucial life stage, gradually embracing adulthood and establishing a career. Substances might appeal to you as a short-term way to slow down your thoughts, distract from your obligations, or even temporarily improve your performance for papers, presentations and job performance. With the stakes so high, however, you may not have time to schedule an open-ended rehab stay. Even if you do, it's hard to focus exclusively on your "addiction" as the clock continues to tick. We don't ask you to cast away other concerns. Our retreat stays are time sensitive and you can determine up front the best option for you. Instead of labeling you as an "addict," Freedom Model welcomes you as our guest. If you want to stop using drugs, contact us for more information about our self-directed retreats and let us help you move forward into living your most productive, fulfilling and happiest life.